Theoretical astrophysicist and Stanford University Professor Roger Blandford will discuss the strange and wonderful behavior of black holes and the alternate realities created in Hollywood films when he presents the 2017 Zaffarano Lecture in Physics on Oct. 26. Blandford, who researches the area of black holes and relativistic phenomena, is famous for a model for the extraction of energy from a black hole—the Blandford-Znajek process. Blandford will present “Black Holes in the Universe and Hollywood” on Thursday, Oct. 26 at 8:00 p.m. in the Benton Auditorium of the Scheman Building at Iowa State Center. The presentation is free and open to the public. Blandford is the Luke Blossom Professor in the School of Humanities and Sciences at Stanford University and a member of the Physics Department. A Fellow of the Royal Society and a member of the National Academy of Science, he is the recipient of major international awards including the Eddington Medal and the 2016 Crafoord Prize in Mathematics and Astronomy. 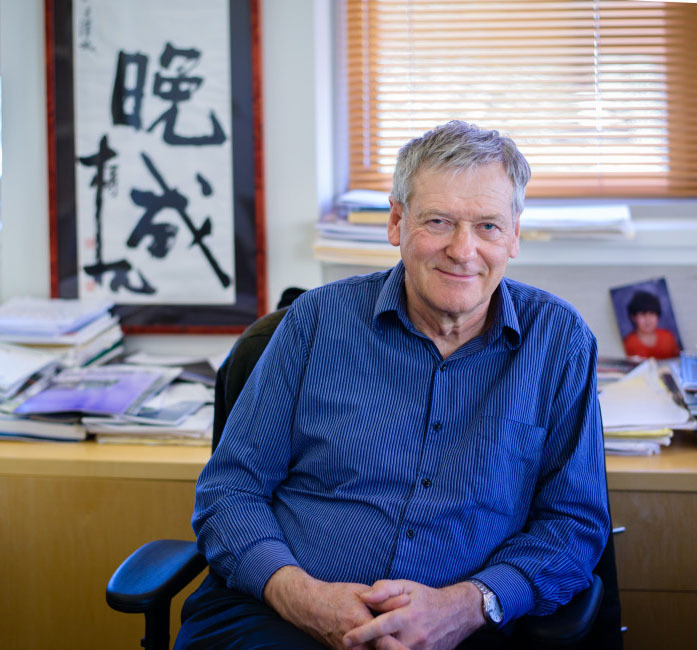 A native of England, Roger Blandford had postdoctoral positions at Cambridge, Princeton and Berkeley before joining the Caltech faculty in 1976. In 2003, he moved to Stanford University to become the first Director of the Kavli Institute for Particle Astrophysics and Cosmology. His research interests cover many aspects of particle astrophysics and cosmology. The Zaffarano Lecture in Physics was established in honor of long-time Iowa State faculty member, Dr. Daniel Zaffarano. Zaffarano joined the Department of Physics and Astronomy in 1949 as an associate professor. During his decades of service at Iowa State, he was awarded the title of Distinguished Professor, served as departmental chair and served as Chief of the Physics Division of the Ames Laboratory for ten years. A Fellow of the American Physical Society, Zaffarano served as Vice President of Research at Iowa State from 1973 until 1988. The Zaffarano Lecture brings an outstanding scholar to central Iowa and the Iowa State University community each year to speak on a topic in the physical sciences and discuss relevant technical applications, philosophical implications and relations to human affairs. The tradition of bringing prominent physicists to Iowa State University dates back to the John Franklin Carlson Lectures, which were inaugurated by J. Robert Oppenheimer in 1955. The Zaffarano Lecture in Physics is hosted by the Department of Physics and Astronomy and the College of Liberal Arts and Sciences and cosponsored by the Committee on Lectures, funded by Student Government.